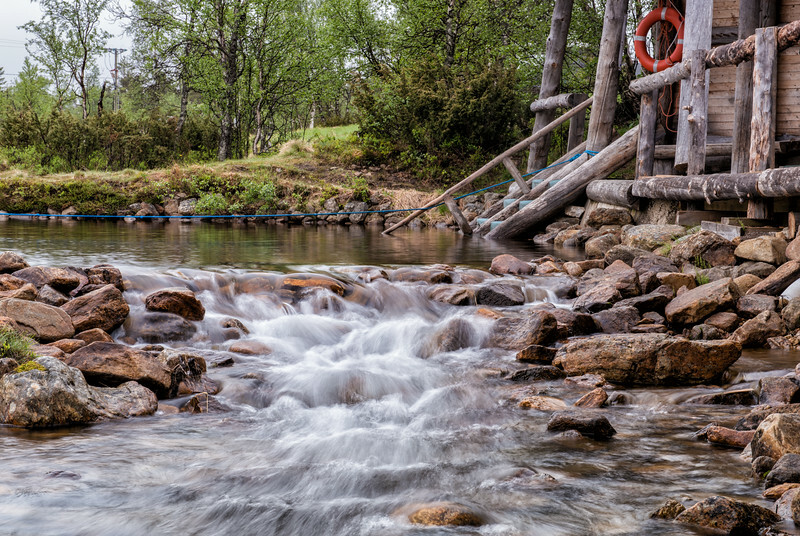 Outside the smoke sauna at Fell Centre Kiilopää, one of the gateways to northern Finland's Urho Kekkonen National Park, trickles this gorgeous stream. You may not think it so pretty when you're trying to jump into it though! I jumped in after a long sit in the sauna and its 7ºC waters actually hurt. I can't imagine what it would be like in winter -- although the Finns assured me that it's "even better" then!